Measure degree of alignment (or not) between values of the employees and the organization. Measure the current organizational culture against the desired organizational culture. Measure the consciousness and map the values of different staff levels, departments, locations, and regions or determine demographic differences. Ensure that you hire the right talent for the right position. Use TEAM Performance’s unique method to make sure behavioral characteristics mesh with your core values. Receive support in continuing to grow and retain your talent. Get the right people in the right seats all headed in the same direction towards your goals. The Life Styles Inventory (LSI 1) and (LSI 2) was developed to help individuals identify their beliefs, behaviors, values and assumptions about themselves. These “styles” of thinking and behavior guide both work-related activities and interpersonal communication. LSI is not a personality index – it is a comprehensive assessment that shows people their strengths and stumbling blocks and then helps them to change with recommendations. The results can be utilized to improve performance in such areas as solving problems, making decisions, guiding or participating in teamwork, encouraging growth and promoting innovation. Support leadership development and transformation with a Leadership Values Assessment. Use a 360-degree feedback instrument that compares a manager/leader’s perception of his/her operating values against the perception of his/her superiors, peers and subordinates. Develop and work from derivative personalized action plan. 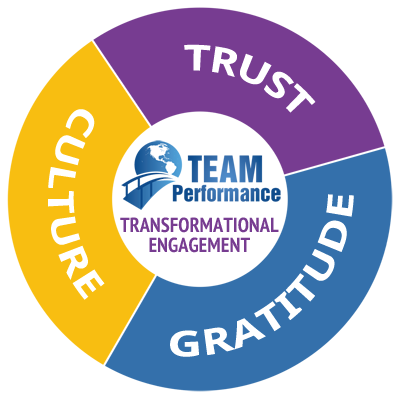 Measure your human capital, values alignment and leadership effectiveness through Cultural Transformation Models and Tools™ (CTT) developed by Barrett Values Centre. Support leaders in building high-performance, values-driven internal culture. Ensure that you attract and keep talented people by increasing staff engagement. Ellen Miller, TEAM Performance President, is committed to helping individuals perceive their world in a new way to create fresh results. Together, you determine what is really important in your life, set and achieve challenging goals that work from and strengthen your natural talents, and create your best life proactively with results greater than you might have ever imagined.